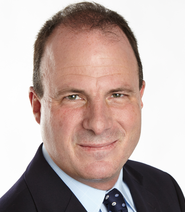 This instablog post comes from Tim Plaehn, expert on income investing and a friend & colleague of mine at Investors Alley as well as a contributor here on SeekingAlpha. Tim runs the Dividend Hunternewsletter which offers a solid & diverse selection of attractive high yield plays. The service is now over 6,300 active subscribers and can be had HERE for the rock bottom price of $49 (It usually is $99) for the first year. There are few better bargains around for those looking for solid income plays to balance their high beta bets. With a pending interest rate increase from the Fed, I have been receiving questions on whether REIT values will be hurt by rising interest rates. It is a widely held – but inaccurate – belief that REIT values must fall if interest rates continue to increase. The fact that many REITs increase their dividends over time tells us that these are businesses with the potential for growing dividends and share values even in a rising rate environment. Recently, I read an article that looked at the history of REIT values and interest rates. Since 1995, there has been 15 periods of significantly rising interest rates. Out of those 15, REIT values increased 12, or 75% of the time. In the period from June 2004 through August 2006 the Fed increased rates 16 times. 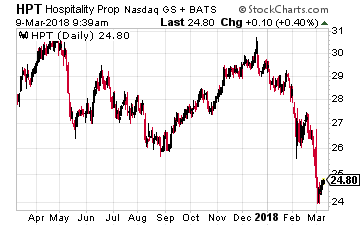 During that period REITs outperformed the S&P 500, 59% to 22%. The fact is that REIT results are driven more by economic conditions, rising commercial real estate values, and the ability of REITs to increase the rental rates on their properties. We can monitor how well a REIT is performing from its history of dividend growth. Most REITs announce any dividend increases once a year, in the same month each year. Across the sector there are increase announcements in almost every month in the calendar. You can often get a nice share price gain by buying shares before a dividend increase announcement hits the news wires. I maintain a database that covers about 140 REITs. I use the database to track dividend rates, yields and increases. Of the 140, about 90 have histories of regular dividend increases. There are REITs that should announce a dividend increase in April. American Campus Communities, Inc. (ACC) owns, manages and develops primarily off-campus student housing properties in the United States. The company owns over 200 properties near 96 college campuses. While some growth comes from acquisitions or development, ACC also realizes 2.5% per year of average rental rate growth. Since resuming dividend increases in 2013, the payout has been increased by 5% to 6% for five consecutive years. In 2017 Funds from Operations (FFO) per share was in line with previous years. The current dividend is just 76% of FFO, so another 5% increase still likely for this year to keep the growth record going. The new dividend rate is announced at the end of April/early May with an end of May payment date. ACC currently yields 4.7%. 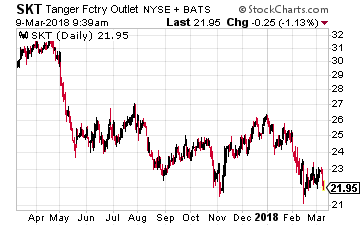 In 2017 FFO per share was flat compared to the 2016. The previous year, FFO was up almost 8%. The current dividend rate is 58% of 2017’s FFO. For the last several years, HPT has been increasing the dividend by about 2% annually. I expect an increase this year of similar magnitude. The new dividend rate has been announced for mid-April, with a late April record date and second half of May payment date. HPT yields 8.5%. Life Storage Inc. (LSI) owns over 700 self-storage facilities located in 28 states. 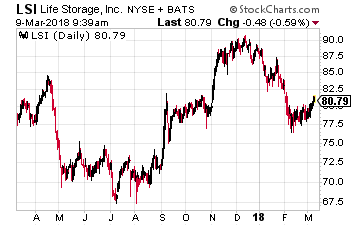 Self-storage has been a cyclical REIT sector and growth has flattened over the last year. Life Storage has grown its dividend by an average of 10% per year for the last seven years and increased it by 5.3% in 2016. For last year FFO per share increased by 2% so investors should look for another single-digit dividend increase. If a boost is coming in April it will be announced near the start of the month for the dividend to be paid at the end of April. The stock yields 4.9%. And below is a bonus recommendation. 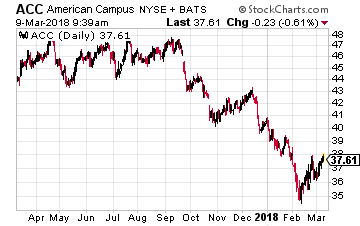 This company has been one of the most consistent dividend raisers having increased dividends every year for a quarter century. Tanger Factory Outlet Centers Inc. (SKT) was the pioneer in developing factory outlet malls. The company has increased its dividend every year since its 1993 IPO. Over the last five years, the payout has grown at an 10.5% annual compounded rate, including an 5.4% increase last year. In 2017, AFFO per share increased by 4%. With the turmoil in brick and mortar retail, Tanger has stayed conservative with its balance sheet and growth projects. The current dividend just 57% of AFFO so a mid single-digit rate boost should be announced again this year. The next dividend will be announced in early April with and end of April payment date. SKT currently yields 6.0%. If you are not already registered at bretjenseninvests.com, please take a minute to do so. This will ensure that you will automatically get every free stock report or video we issue from the site. You also will receive a free weekly eletter with actionable investment ideas from my colleagues at Investors Alley. To register, simply click here. It takes about five seconds.